I’ve been playing this new bullet hell shooter for iOS called Bullet Hell Monday, and having an absolute blast with it. It was created by Masayuki Ito, who has already created two other iOS shmups — .Decluster: Into the Bullet Hell and .Decluster Zero: Bullet Nocturne — but this is the first of his games that he releases as free-to-play. The great news is that it’s a very forgiving F2P, and as you can tell from the visuals pictured here, it’s a visual treat. 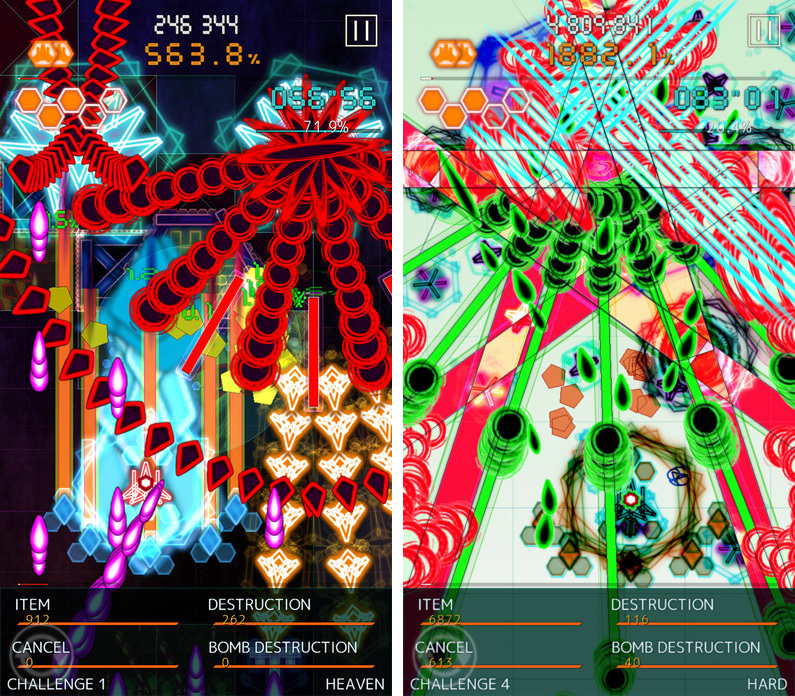 I really love the abstract aesthetics in use, and the gameplay — although pretty typical of iOS shooters — feels right. I’ll definitely be picking up the two .Decluster games as well.